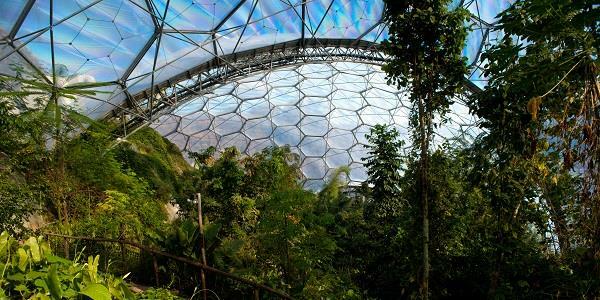 Famous the world over, Cornwall’s Eden Project scarcely needs an introduction – but here’s a small one anyway. Opened in 2001, the Eden Project is at once a showplace for flora from around the world, and a serious research facility looking into plant sustainability, climate change, mankind’s planetary impact and, when you get right down to it, the ongoing survival prospects for humankind on Planet Earth. All of which is, of course, incredibly worthwhile – but if the above comes across as too ‘worthy’ somehow, it should be added that the place is jaw-droppingly spectacular. Built in an old china clay pit, the Eden Project’s huge domes (at top and below) that house the tropical and Mediterranean ‘biomes’ – collections of co-existent plants specific to those environments – look futuristic (appropriately enough), and almost other-worldly. Especially at night. 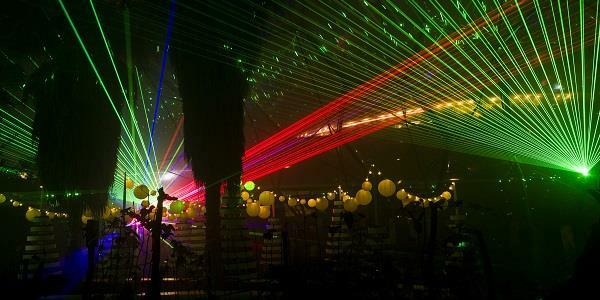 The Eden Project is not above letting its hair down and throwing a party. Since 2002 the Project has hosted the Eden Sessions, a series of annual summer gigs featuring top rock acts. Artists as diverse as Oasis, Kaiser Chiefs, Ellie Goulding, Sigur Rós and Motörhead have all performed at the venue. And with the Festive Season fast approaching the Eden Project is gearing up for weeks, months even, of special events and celebrations. Ice skating is already available, and will be until 24th February 2019. On selected dates from late November until Christmas Eve Father Christmas will be in residence, keen not just to meet the children but to getting them involved in setting up his sleigh for his 24th December ‘delivery run’. “So magical”; “beautifully done”; “the most amazing time”. Just some of the comments from previous visitors. There’s a wreath-making workshop on 29th November, in a special evening workshop with an award-winning florist – accompanied by a glass of festive fizz and foody treats. But what promises to be the star of the Eden Project’s Christmas show has to be the all-new after-dark experience with awe-inspiring light installations, live music and stunning projections. On selected dates from 24th November until 30th December, Eden will be transformed into an ever-changing landscape of shadows and light, with playful light sculptures, a magical rainforest, a musical garden by night, soundtracked by live performances, and at the end a stunning show where colour, lights and music combine in a festive celebration – and create a stunning backdrop to the awe-inspiring sculpture, Infinity Blue. All in all, an immersive light-and-sound spectacular across Eden – the perfect start, or accompaniment, to a very special Festive Season. 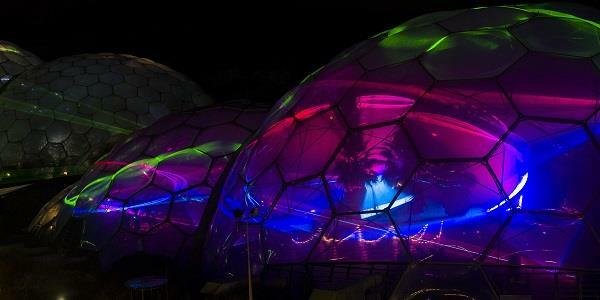 For further information or to book tickets to this winter’s Eden Project events, click here. Duloe Manor organises regular excursions to the Eden Project – but to get there independently, take the B3254 north followed by the A390 west. The journey is about 20 miles, and takes roughly half an hour.